Deftones in Montreal or Quebec City? Inform me about the next events for Deftones. Enroll yourself to our priority waiting list for Deftones to be alerted when new tickets are available. Filling this form doesn't engage you to any purchase. Deftones are coming to Montreal on March 3rd, 2013 for a concert at the Metropolis. The last time we saw Deftones in Montreal was at Heavy MTL, last August. The band rocked the Parc Jean-Drapeau. 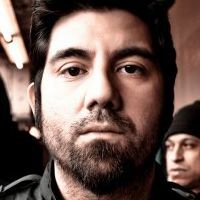 In november 2012, Deftones released their latest album Koi No Yokan. Don't miss this nu metal show in Montreal !